As a Seattle native, I love that there are Seahawks fans all over the world! 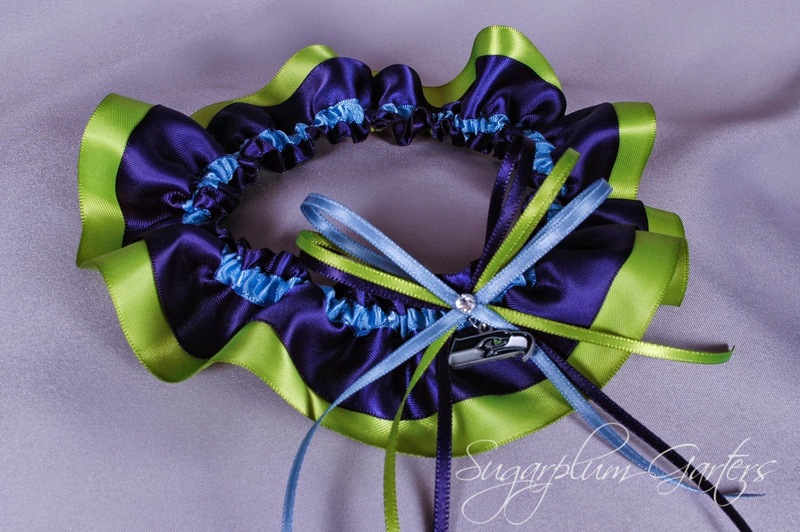 So far, the furthest I've shipped a Seahawks wedding garter is Australia ~ in that case, the groom was a Pacific Northwest native and had even managed to talk his bride into a Seahawks themed wedding! This one is on its way to London, Ontario! Best wishes to groom Jameel and his beautiful bride! This is one of the most special garter sets I've ever had the honor of making. I've known the groom, Mark, since preschool, and was so excited when his bride, Andria, contacted me about a custom order for their wedding day. Andria loved the delicate look of lace, and the silver and toffee ribbons matched their colors perfectly. Mark is an avid hunter and outdoorsman, which is why we added the handgun charms. And the feathers were the perfect final touch ~ we used guinea feathers from my inventory, and Andria sent me duck feathers from one of Mark's recent hunting trips to include as well! Interested in ordering your own custom wedding garter or garter set? Contact me here! 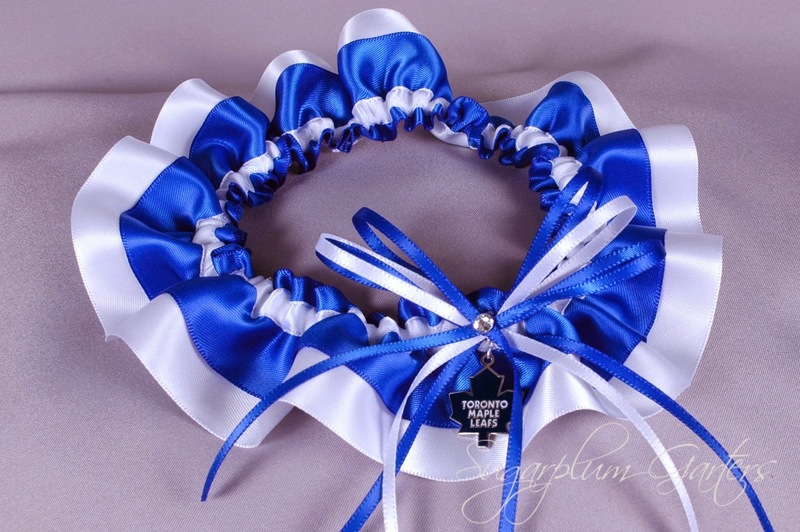 This Toronto Maple Leafs garter for Canadian bride Tina's October wedding shipped late last week. It's the perfect wedding day surprise for her hockey-loving new hubby ~ the happy couple even watched a Leafs game on their first date!